The three-member panel appointed by the UN Human Rights Council to probe alleged human rights abuses in Sri Lanka is yet to seek entry into the country. A Ministry of External Affairs spokesperson said that the team has not yet asked for approval to visit the island. On June 25, UN Human Rights High Commissioner Navy Pillay announced the three member expert team which would advise and support a team of 12 UNHRC staff. The experts are, Martti Ahtisaari, former President of Finland and Nobel Peace Prize Laureate, Silvia Cartwright, a former Governor-General and High Court judge of New Zealand, and Jahangir, former President of Pakistan’s Supreme Court Bar Association and of the Human Rights Commission of Pakistan, according to a UN statement. The investigation team with whom they will work will consist of investigators, forensics experts, a gender specialist, a legal analyst, and other specialised staff. The team will be operational for 10 months upto mid April 2015 and will look into alleged serious violations and abuses of human rights and related crimes by the Sri Lankan Army and the LTTE during the last years of the armed conflict that ended in 2009. The panel’s appointment was the result of the US-backed resolution at the UNHRC session in Geneva in March, where the UN endorsed Pillay’s recommendation for an external probe into serious violations and abuses of human rights in Sri Lanka. Sri Lanka has expressed strong objections to the investigation panel saying they would not cooperate with it as the move was an attack on the island’s sovereignty. 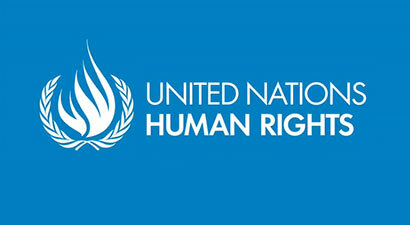 The parliament also passed a government backed resolution not to allow the UNHRC team into the country. The UN said it was encouraging the government of Sri Lanka to fully cooperate with the investigation which can help shed light on the truth and advance accountability and reconciliation in Sri Lanka, PTI reports.